And the award goes too….. So every week I go shopping with my mom. Now, Im not usually the one buying anything, so its really a pre-shopping trip, you know, to scope out what is on sale, whats new, that sort of thing. It make writing out my grocery list much easier; knowing where the cheapest place is to get the best stuffs for cooking! Anyway, one of the places my mom goes is to Sam’s club. They have all sorts of interesting things and a very wide variety of stuff. One of the things they have is a large rack of….wait for it….COOKING MAGAZINES!! YES!! Ahhh…its like Mecca for me :). So, I am standing there, flipping through magazines, thinking that most of them have too much other stuff. You know what I mean, advertising, stories; in a word, fluff. I did not want this. All I wanted was a magazine chock full of really good recipes. Well, I hear my sister say, “Hey, Melanie, this one looks good” and holds up a magazine that touts “2012 Award Winning Recipes!”, and proceeds to tell me that it is ALL recipes, like, every single page! That was EXACTLY what I wanted. My mom was ready to go, so I took it and was flipping through it with my sisters looking over my shoulders saying, “oh, yum!” ,”that looks good” and “you should make that!”. I had already decided that I was going to get it after I looked at the first few recipes and their ingredients. That was something else that kept me from getting some of the other magazines as well. A lot of the recipes called for obscure, hard to find ingredients, or ingredients that I knew I could find, but also knew were pretty pricey. That almost always gets an automatic reject from me. Back to the magazine. My mom, of course wanted to see what all of the fuss was about so she starts looking at it too. She shoves it back in my hands and says….”grr, you are making me hungry!” LOL. When we left I was sitting there really looking at the different recipes, wondering which of them I could make that day for dinner. 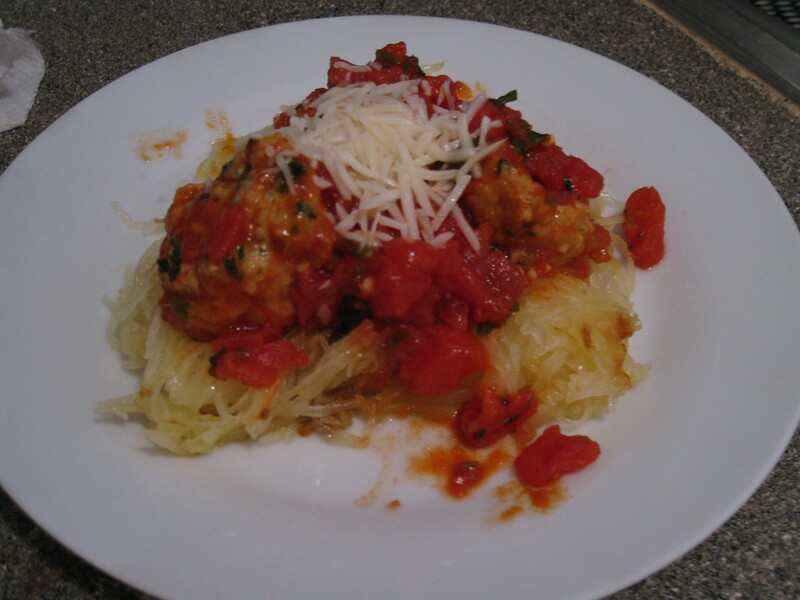 I saw the recipe for the <——– Chicken Florentine Meatballs over spaghetti squash, glanced through the ingredients and decided that this was whats for dinner! I had to make dinner to take to the hubs at work and figured that would be good. I continued looking through and found the dessert section. Oh, My, Goodness! such a wide array! It wasn’t hard to decide though….. It was going to be this…..This is the single most delicious concoction I have ever tasted! It is creamy, toasty, tangy and sweet! It has a melt-in-your-mouth smoothness that is to die for! I was was completely taken by surprise. I had never, ever made bread pudding in any form, ever. It was definitely a new experience. It was really easy, the most “difficult” part was cutting up the bread, and was more tedious and messy than anything really…. and it was totally worth it! 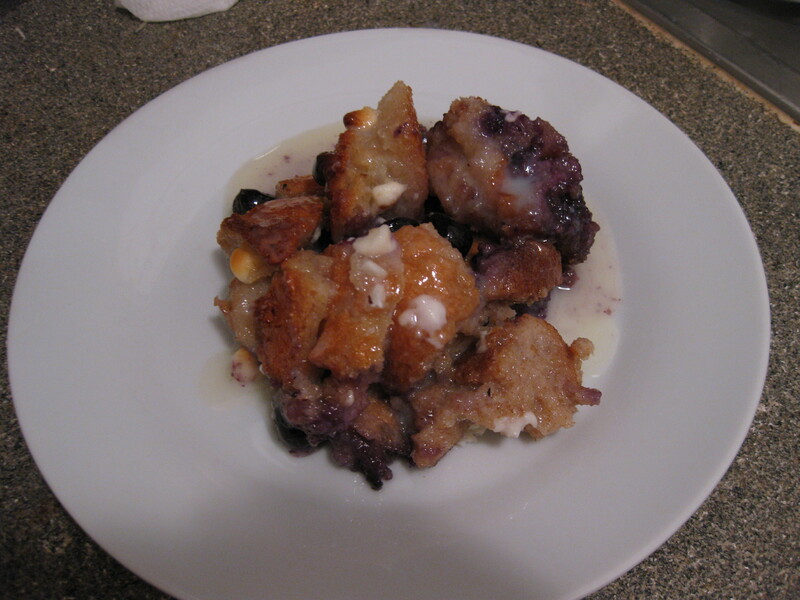 My hubs has always told me that he love bread pudding, and I have never attempted to make it. All of the recipes I have ever found always seemed too intimidating. The one in this magazine, though; well, I know why it was award-winning, that is for sure :). For my followers: I will be adding recipes soon, so if there are some you want to know about first (as recipes take a bit to type out), let me know what you want first. I will be breaking them down into categories, i.e. breakfast, main course, sides, etc.